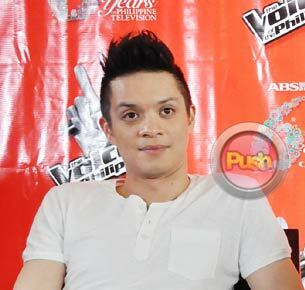 The Voice of the Philippines judge Bamboo says that he would rather focus on singing. Apart from being one of the judges in upcoming Kapamilya show The Voice of the Philippines, Bamboo said he is also excited about his first major concert with Yeng Constantino this coming August at the Araneta Coliseum. The collaboration was sparked by all the positive feedback they received when they performed together on ASAP. “Yeng is an original soul. When we played that Eurythmics’ song ‘Here Comes The Rain Again’ on ASAP, you can really feel us pushing each other and really figuring out the arrangement of the song and it’s a duet but it doesn’t sound separate. It sounds like one record, one song and that’s a special thing for me. I wish kung may time may harmonica and a blues harp and she also had her own suggestions sa arrangement ng song during that time and where she wanted to take it, the separation of stuff so she had a collaborative spirit which I like and I’m game for that,” he admitted. Bamboo said that he is still getting used to a hectic working schedule. “I'm not fully adjusted with the schedule. These people [in the industry] work a lot (laughs). It’s a lot of long hours which I have to get used to, a lot of early hours I have to get used to. Hindi pa ako masyado nakaka-adjust pero I’m enjoying myself the whole time. I just like the environment, the people, just working with different people every week, different arranger, musical director, singer, every week iba kasama ko so I’m enjoying that aspect of it eh. I’ve been doing this for a while so just to get something fresh for me, it’s refreshing, it’s a new day,” he explained. When asked if he would ever consider crossing over to acting from singing just like his contemporaries Rico Blanco and Marc Abaya, Bamboo said he has pretty much decided to stay away from going down that path. “That will never happen with me, sorry (laughs). I guess I know what I’m good at, I know what I’m comfortable with. I’ll never say never but I’m almost 99.9% sure. Maybe for a film, I’ve done a film with Rivermaya but still we were singing as a group, no acting involved, that sort of thing. In The Voice, all natural for me because we aren’t acting at all. It’s just me being me, all genuine 100% and that’s all I expect for myself. But to be someone else, I don’t know. I have to have a director I can trust for film. For TV, I don’t know, I can’t handle the hours. I enjoy what I do too much which is singing, performing, and songwriting. That’s what I live and breathe for and having my own time,” he said. The talented singer said the opportunity to go into acting has always been there but he has not been convinced to accept any project so far. “Of course there’s been offers. It’s always been there but I’ve always said no and I’ve even gotten scripts for certain things and I guess when the right thing comes along and if I feel I’m mature enough that I can handle it then why not but right not now, today 99.9%. But I doubt it because I love what I do. Ngayon pa lang I’m so swamped. I’m doing so much already so I can't imagine finding time to do anything else. And when I do something I want to be 100% in. ayokong daanan lang yan eh. I’m not that kind of guy. I’m not that kind of artist. I don’t want a paycheck. I want something that’s going to fulfill me so yun ang importante sa akin,” he said. Catch Bamboo with Yeng Constantino in their concert By Request at the Araneta Coliseum in August. For more updates, log on to Push.com.ph and follow Push_Mina on Twitter.